Rest is crucial in a culture where we are overstimulated, run down and habitually exhausted -- often heightened in the summer months with the longer days. This 2 hour yin and yoga nidra retreat will invite the nervous system to reset and guide the body-mind towards healing. During this workshop you will balance your chakras with the healing power of crystals! Crystals come from Mother Earth and offer healing with their unique ability to balance every level of your being. They invoke the highest healing, cleansing the aura, revealing your creativity, joy and inner wisdom. Weaving crystals and reiki into the traditional yin and nidra practice will delight your senses. Prepare to float home, you will leave feeling lighter and with a sense of deep peace in the body-mind. Yoga Nidra, also known as "Yoga Sleep"
Yoga Nidra is a practice of deep relaxation. The benefits are relaxation for health, rejuvenation of energy, healing and mental peace. The practice is done while comfortably lying on your back with the support of blankets as the teacher softly guides you to touch your awareness through your whole body. It is said that 30 minutes of Yoga Nidra is equivalent to 3 hours of deep sleep. 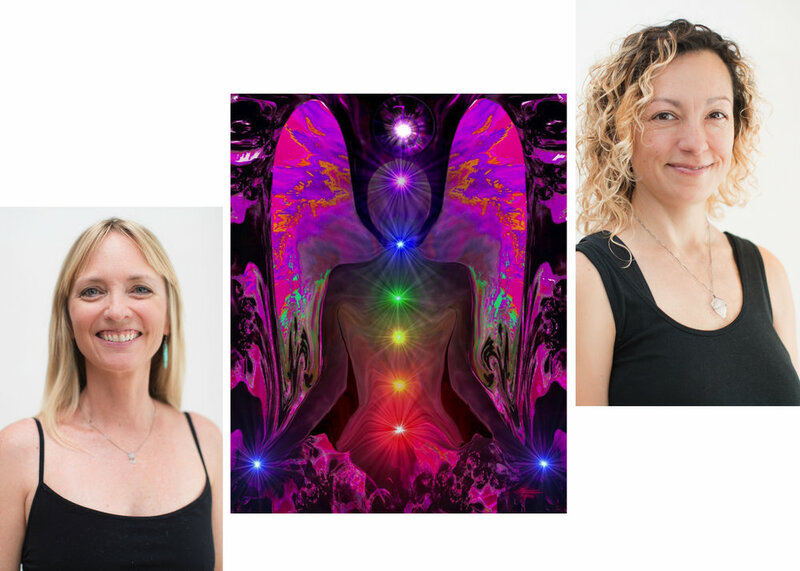 Biffy Cotter and Krissy Aguayo are certified yoga teachers and reiki healers. All the crystals they use carry the Love vibration and are reiki energy charged. Bring yoga mat, eye pillow or scarf, and blanket. Dress in loose comfy clothing. We recommend eating at least 2 hours prior.